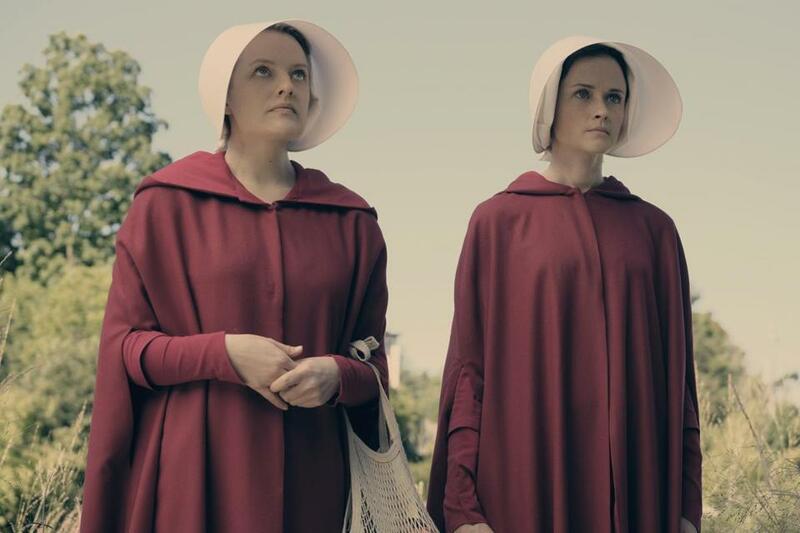 Next Wednesday, “The Handmaid’s Tale” returns to Hulu for season two. It’s a brilliant, terrifying dystopian drama — my review is coming Friday — and the story line continues to give chills as it looks at the fragility of our moral codes and the insidiousness of misogyny. First, though, I want to let you know that along with Elisabeth Moss, Ann Dowd, Joseph Fiennes, Alexis Bledel, and Yvonne Strahovski, one of the stars of the first few episodes is The Boston Globe. As fans know, “The Handmaid’s Tale” is set in the Boston area. I don’t want to spoil anything, except to say that one of the characters spends an entire episode inside an empty newsroom that resembles — but isn’t — the Globe’s old Morrissey Boulevard location. “The place has been empty since before the war,” someone says about the building. Most likely, given the dire state of the country on the show, the Globe and all other newspapers that aren’t government tools of Gilead have been shut down.